What does it mean to go through the looking-glass? Charles Dodgson, aka Lewis Carroll, wrote several novels about a young girl named Alice who enters a mirror and finds adventure. Sixty years later, an artist was born on the other side of the planet who would take Dodgson’s story to the furthest reaches of art. That woman, Japan’s Kusama Yayoi (1929- ), is one of the most elite artists alive today. Perhaps best known for her abstract polka dot artworks, Kusama has adapted Alice in Wonderland throughout her career. Over the course of her career, Kusama moved from Japan to America and back again, while somehow staying in Wonderland all the while. Along the way, she distilled the essence of Alice in Wonderland to enable consumers of her art to relive Carroll’s story through herself. 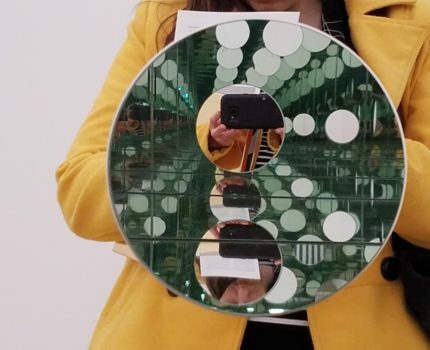 This talk examines a variety of works in Kusama’s oeuvre to show how Kusama adapted Alice, what the effects of her adaptations were, and how her extensive relationship with Carroll’s works affects our own understanding of this key contemporary artist.